Finally , Facebook CEO Mark Zuckerberg Reveals ‘Facebook Home’ for Android, Putting stop to all rumors of Facebook launching its own phone. The “Facebook Phone” is here, but it’s not what you think. 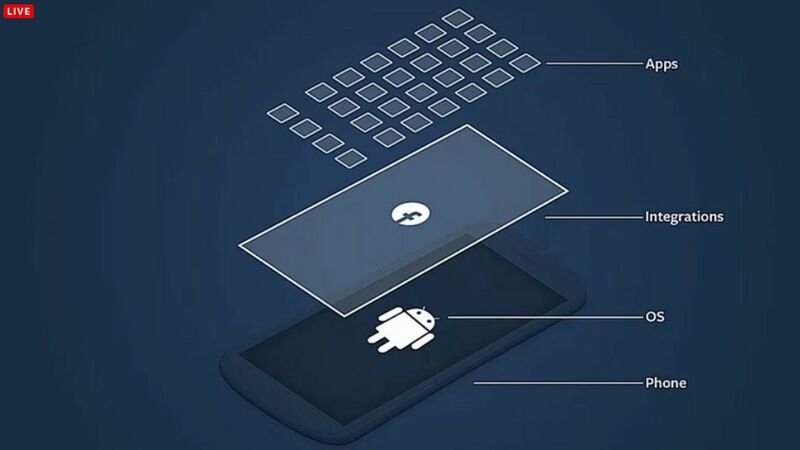 Facebook CEO Mark Zuckerberg today unveiled a new way to integrate its network on Android devices. Called Facebook Home, it represents a rethinking of how Facebook exists on Android phones, Zuckerberg said, putting people first instead of apps. “You’re going to be able to turn your Android phone into a great social device,” Zuckerberg said at the unveiling. “Our phones today are designed around apps, not people. We want to flip that around.”. Another novel feature is Chat Heads, a way to manage conversations with friends. People you’re interacting with via Facebook Messenger appear a pop-up heads on the margin as opposed to intrusive notifications. Chat Heads work with Facebook Messenger and SMS, but not third-party messaging apps. “”When a user’s Facebook friends start a new chat, their picture pops up on Android phone home page in a small bubble – a “chat head”. Android users who have the most recent Facebook app will see a prominent link asking users if they want to download Facebook Home. It downloads as a separate app. It’ll be available April 12. Facebook says Home will be available only for certain specific phones at launch. A tablet version would come at a later date. Facebook Home is optimized for the HTC One and One X, and the Samsung Galaxy S III, Galaxy S 4 and Note II,Zuckerberg said. On my personal front, i feels it is a brave move by social networking giant. I love the idea that I don’t need to switch apps to send a message. Chat Heads is a big upgrade !! Great Job .. I just want to mention I am new to blogging and site-building and definitely enjoyed this web page. Very likely I’m planning to bookmark your blog post . You really come with very good posts. Regards for sharing your blog. Awesome post! I possibly will keep an by discernment resting on your blog. Very good blog you have here but I was wondering if you knew of any message boards that cover the same topics discussed here? I’d really love to be a part of online community where I can get advice from other experienced people that share the same interest. If you have any suggestions, please let me know. Appreciate it!